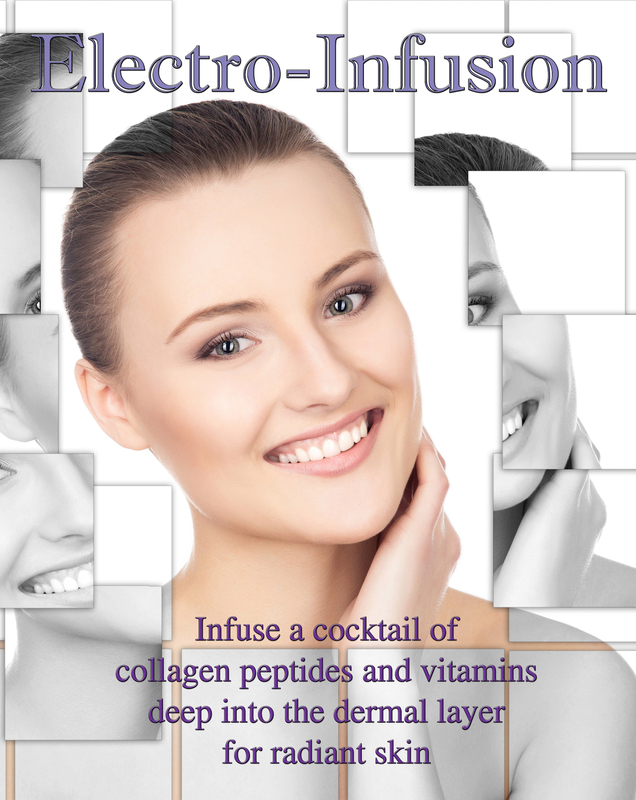 This treatment uses an Electroporation Machine to infuse a cocktail of collagen peptides and vitamins deep into the dermal layer. Comfortable, painless highly effective treatment mechanically “pushes” products deep into dermis rather than just applying to surface. See your fine lines and wrinkles finally begin to disappear! Clinically proven to drive a product deep into the cells. Topicals only “sit” on the surface. You can actually get better results from your skin care products with this safe painless procedure. MESOTHERAPY BUT WITHOUT THE NEEDLES!